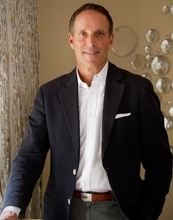 Richard Steinberg is one of New York's most successful and prominent brokers of apartments and townhouses. Grossing over $100 million in sales yearly, Richard has consistently been the top producer at Warburg. His comprehensive knowledge of the Manhattan marketplace has made him a frequently cited expert on real estate in The New York Times, The Wall Street Journal, The New York Observer and other publications. Richard currently stars on the hit HGTV television show "Selling New York." How did you get into the real estate brokerage industry? I was originally a Podiatrist but had a passion for architecture and just made the leap. What drew you to Warburg over the rest of the competition? 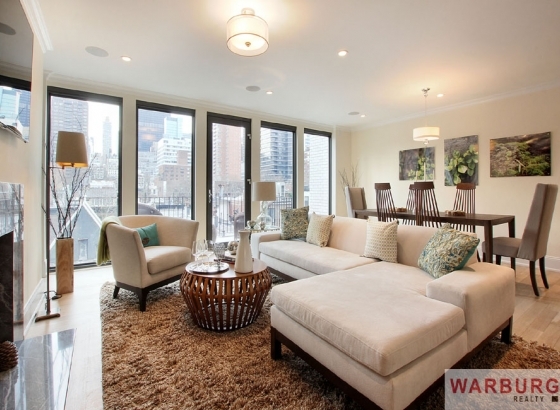 It is a small white glove boutique firm specializing in high end real estate. Your greatest and successes and mistakes as a broker and how did you learn from them? By taking each experience and using it evolve, tempering my impatience and strengthening my weaknesses. What industry trends are you noticing and how are you capitalizing on them? How has social media affected the RE business? We are focusing on the international buyer and making sure our social media skills are at the top of our game. Integrity, honesty, focus and aggressiveness. How important is location and design in selling a property? Location is no one and triple mint sells first. Your advice to an aspiring RE broker? Work hard, learn from experts and focus on success. Mies Van Der Rode and Robert Stern and I love the new 432 Park simple, yet elegant. Arch Digest, The Post and NY Times. What's next for Richard Streinberg and Warburg Relaty? Bigger and better as well as setting new goals for success. He has a client roster of New York's top celebrities, politicians and business leaders. Over the course of his career Richard has successfully brokered sales in virtually all of the city's notable condominiums, cooperatives and townhouses. He has worked with private individuals and developers to identify a townhouse for purchase, renovation, and resale at significant profits in addition to working with individuals to identify townhouses as long-term homes. Developers have used Richard's expertise in closing out last remaining units in the top condominiums. He is adaptive to client needs, discreet, and known for his careful negotiations on their behalf. Richard holds a doctorate degree, raised two children in New York along with his wife who is also a broker, and is a long-time resident of the Upper East Side.